The Unplugged Custom Song is straightforward and cost effective. Written and produced professionally, it’s arranged primarily with guitar and voice. It can convey anything you want through the magic of lyrics and sound. Give an Unplugged Custom Song to somebody you love or order one for your business or organization. Feel comfortable that only you will have this unique music associated with your loved one or your brand. Commemorate your loved one by playing it at family get-togethers or re-enforce brand loyalty at every possible situation by playing it in meetings and as part of all public multimedia. 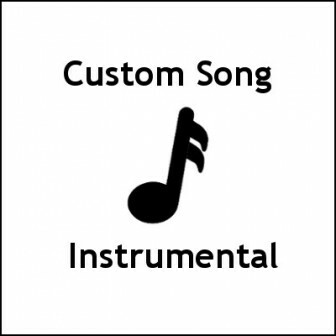 A purchase of a Custom Song includes an unlimited license for your purposes. Use it (for example) at a wedding or wedding engagement, an anniversary, a birthday, a retirement, a religious or cultural celebration, for events, marketing, advertising, podcasts, videos, websites, promotions, team bonding, meeting kickoffs / transitions / conclusions and more. The song will be delivered to you “radio ready” and for the future includes an instrumental version for anybody to sing over or to be used as background theme music. Songwriting, production, recording, mixing and mastering are all included. Do you already have a musical idea or some lyrics? No problem — Dyniss will help you bring it to fruition by discussing it with you in detail and integrating in any way you’d like. Regarding cost: If you do comparative shopping, you will find that many online Custom Song prices are lower. However, through such services, you will likely receive lower quality songwriting, lower quality production and lower quality recording or mixing or mastering. Listening to website demos can reveal this. It’s also possible that the music would be developed through the use of unknown or foreign studios or unknown audio engineers. Alternatively, does your friend or cousin (for example) have their own home studio and could make a song for less? Sure they could — but the quality and options would likely also be significantly lower. Dyniss spent an entire decade engineering several hundred recording artists and worked directly with many talented engineers and producers. 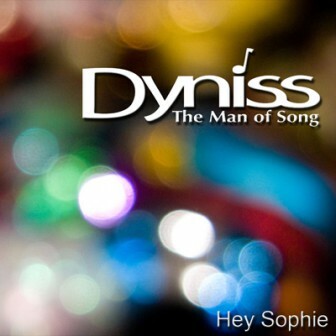 With Dyniss, you shall receive a world-class professional product. The cost is below an average record company music producer cost, yet includes the songwriting. It’s a significant cost advantage. Turnaround time after discussing song design is 3 weeks. Faster delivery is possible. Dyniss will contact you within 48 hours of your order to find out your specific needs. Create something that will last forever: your own song.